List of the best moisturizer for men, including face lotion and mens facial moisturizers. Tough guys may not want to admit it, but smart guys now that they need to take care of their skin just as much as the ladies. Enter face moisturizers that are designed, formulated and packaged just for men. The best men's moisturizer is designed to hydrate the skin without feeling too heavy. So what are the best moisturizers for men? Men want a fast-absorbing facial cream that offers complete protection from the elements, including an SPF, without a greasy feeling. Some of the highest quality moisturizers for men are designed to help to soothe skin after shaving, provide adequate moisture so skin doesn't look dry and dull, fight wrinkles with ingredients like Retinol and help to protect from damaging UVA and UVB rays. Keep in mind that you'll want to use a good moisturiser twice a day to get the maximum benefit. Once you get in the habit of applying the moisturizer after washing your face and/or shaving, it will become part of your regular routine and you won't think of it as an extra step! Skin care for men, despite what many guys think, should be different. A man's skin tends to be thicker, with larger pores and more oil glands. This means, in a nutshell guys, that you need a heavy-duty lotion. What works for women might not work for you at all. Some lotions are designed for both sexes, but not all. You also need a lotion that will help to soothe your face, which gets battered by shaving every day. What is the absolute best moisturiser for guys? Here are some of the best choices. If you see a moisturizer for men on this list that you really like, be sure to vote it up, and if you see one that you've tried and totally hated, feel free to vote it down. 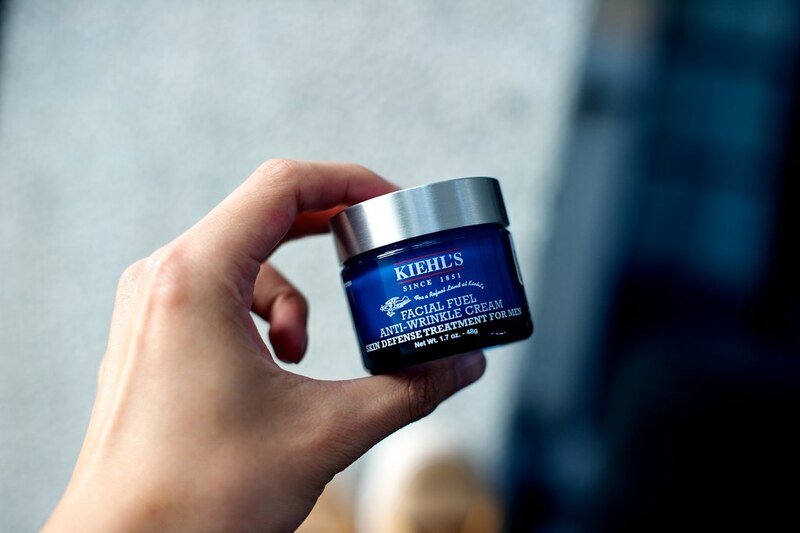 Kiehl's Facial Fuel is a great choice of moisturiser for men. It's very, very lightweight, smells 'manly' and absorbs so fast you'll forget whether you put it on (until you realize how soft and supple your skin feels). Facial Fuel is available in regular or SPF 15 - so if you're looking for extra sun protection, this is a great way to get it. Jack Black is a fantastic brand specifically for men, offering a wide range of relatively inexpensive skin care products, including face lotions and moisturizers. Jack Black's Double-Duty Face Moisturizer with SPF 20 offers great sun protection in a lightweight lotion that won't leave your face feeling slick. This particular lotion has a really pleasant scent, too! Yes, Neutrogena makes this list twice. And this particular lotion, the Healthy Skin Anti-Wrinkle Night Cream, isn't specifically made just for men. But guess what? It's awesome. And if you're looking for a fantastic, regular age-fighting lotion, this is it. It doesn't smell all 'girly,' (in fact, it has zero scent that I can tell) and it provides excellent wrinkle-fighting protection, with ingredients like Retinol, which fights lines under the skin. Also? It doesn't cost a mint. 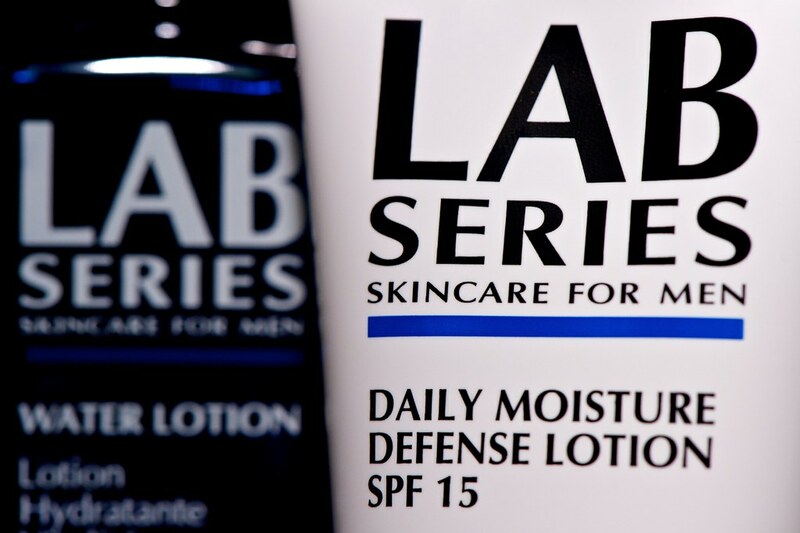 Lab Series Skincare for Men makes some truly outstanding products specifically for guys, including this Daily Moisture Defense Lotion with SPF 15. The lotion is very hydrating, yet it absorbs quickly and offers long-lasting results.